If you haven't had a chance to watch the seriously hilarious Brooklyn Nine-Nine yet, you're really missing out. Thanks to the entertaining cast and incredible writing, it's no surprise that it has a huge fan following. What is a surprise is that Fox just announced the show's cancellation after five seasons, and fans are devastated. 1. It was announced yesterday that Fox made the decision to cancel Brooklyn Nine-Nine after five seasons. The network needed to clear room on its schedule to make room for new television shows hitting the air this fall (which have yet to be announced). 2. Brooklyn Nine-Nine wasn't the only show to get axed. The Mick and The Last Man on Earth were also canceled to make room on the schedule for new shows. 3. The immediate fan response on Twitter was general outrage. Tweets poured in from all around, expressing their frustration with Fox and the people behind the decision to cancel the show. 4. The show's creator, Dan Goor, took to Twitter to thank fans for the outpouring of support. 5. Melissa Fumero, who plays Amy on the show, posted an Instagram story sharing how she felt about the news. "I'm sad, but these last five years have been amazing, and I'm so proud of what we did," she says in the emotional video. 6. Stephanie Beatriz, who plays Rosa, tweeted out the most Rosa response to the cancellation news. 7. Even Lin-Manuel Miranda shared that he doesn't watch a lot of shows, but he does watch Brooklyn Nine-Nine. Once the celebs start tweeting about it, you know it's a big deal. 8. Mark Hamill expressed his frustrations after hearing the news. He even warned that he's prone to holding grudges for a long time when his favorite shows get canceled. Look out, Fox! 9. There's even a Change.org petition campaigning for the show's return. It already has over 22 THOUSAND supporters, which is insane. 10. The good news is that it's now a waiting game to see if the show will be picked up by another network. 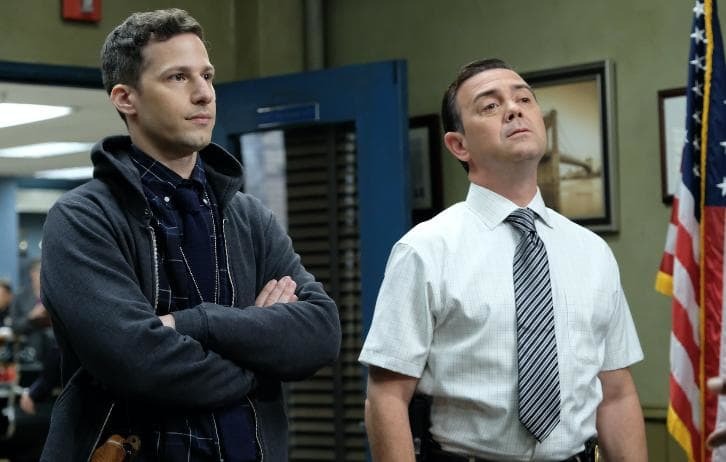 Hulu, Netflix, or even TBS could be the new home of Brooklyn Nine-Nine, according to reports. Right now, it's looking like Hulu is the top contender, and if that's the case, you can bet I'm signing up! Overall it's pretty devastating news, but there seems to be a light on the horizon, so we're not letting go of hope just yet. See what happens when you stand up for what you believe in? GOOD THINGS! SHARE if you love this show and don't want to see it go!